A Christmas announcement in June: Buddy and the gang will be back at Madison Square Garden this year! 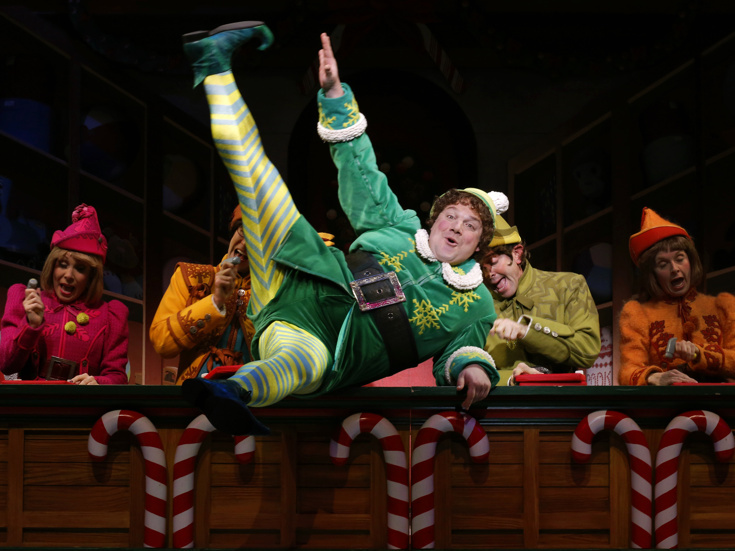 Elf the Musical is scheduled to run at the iconic New York venue from December 13 through December 29. The musical will be directed by Sam Scalamoni and choreographed by Connor Gallagher. Elf the Musical is the hilarious tale of Buddy, a young orphan child who mistakenly crawls into Santa’s bag of gifts and is transported back to the North Pole. Unaware that he is actually human, Buddy’s enormous size and poor toy-making abilities cause him to face the truth. With Santa’s permission, Buddy embarks on a journey to New York City to find his birth father, discover his true identity, and help New York remember the true meaning of Christmas. Based on the beloved 2003 hit film, Elf features songs by Matthew Sklar and Chad Beguelin, with a book by Thomas Meehan and Bob Martin. Casting will be announced at a later date; current School of Rock frontman Eric Petersen played the role of Buddy in last year's production.